Kenyan Javelin star, Julius Yego, is looking forward to a tough 2014 as he continues to make inroads in a discipline hardly considered to be his country's forte in athletics. Yego, 25, has speared his way to the top of the pile in men's javelin over the last two years, finishing just outside the medals during last year's IAAF World Championships with a best throw of 85.40 metres. 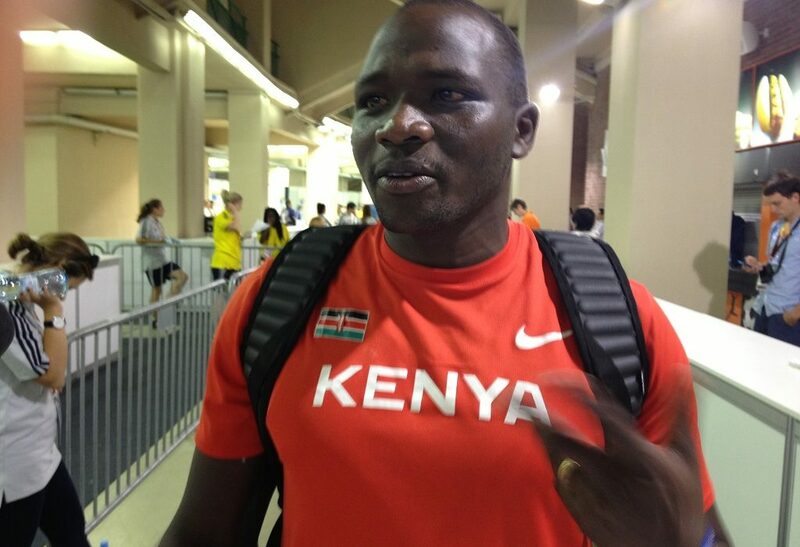 "We have the Africa Athletics Championships, the IAAF World Cup and Commonwealth Games this year and my aim is to win. "However, there are a lot of competitors coming from Egypt and South Africa but having faced the best at the 2012 Olympics and World Championships last year, I know what to expect," the Kenya Police athlete said last weekend. He is expecting to launch his program for 2014 with a three-week training in South Africa with his departure penned for January 25 although nothing is concrete yet. "It's winter in Finland where I have been training with my coach so South Africa is the other available option. For now, I have not trained much here, only doing some gym work," he added. The athlete, who was denied a place at the 2008 World Juniors in Bydgoszcz, Poland by Athletics Kenya (AK), said times have changed since then. "I never lost hope when that happened since AK did not see the reason to take me there without chances to bring a medal home. I never lost hope and I kept motivating myself to be the best at what I do," the athlete nicknamed 'You Tube Man' for turning to the video sharing Internet site to gain skills in his preferred discipline said. "Now, I'm pleased that AK decided to take Alex Kiprotich to last year's Africa Junior Championships where he won gold and four Javelin throwers posted over 65m during the National Championships," he added. Kiprotich, 20, who is eager to follow in the path crafted by the first African to compete at the Olympics javelin final in London, won the top medal in Bambous, Mauritius with a best throw of 75.56 metres. "The performances witnessed at the Nationals last year came as a result of training together with the upcoming throwers for a month before. Despite expressing his wish to remain top-of-the-pile in his sport in the coming years, Yego is magnanimous enough to welcome internal competition to his rising status as the one to beat in Africa. "I gave them all the skill they needed and it was nice to see them improve so much and get motivated to take up javelin. I would be happy to get someone to challenge me," he added. 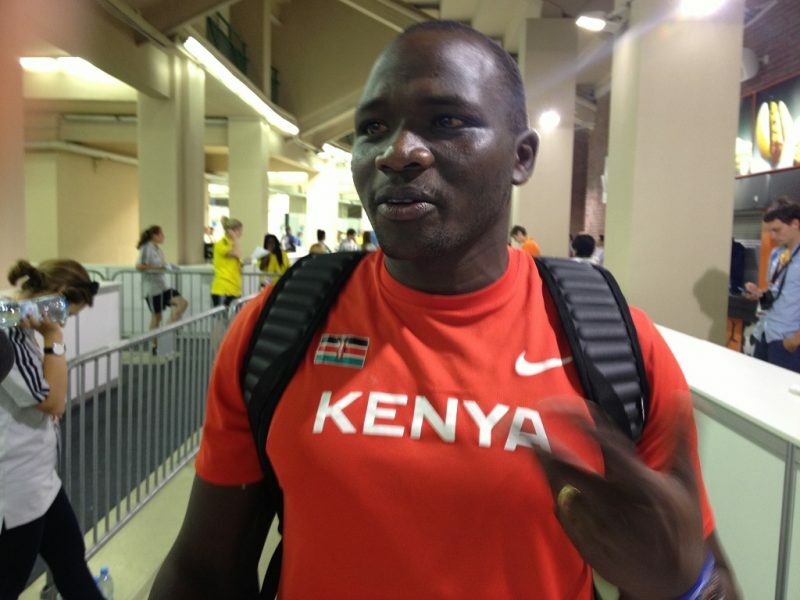 Besides the Kenyan challenge, Yego cites Egypt's Ihab Abd El Rahman, who beat him to the continental crown in 2010 when the biennial was held in Nairobi, South Africa's Jayson Henning and the West African pair of John Ampomah (Ghana) and Kenechukwu Ezeofor (Nigeria) as his closest competitors. "In 2010 for example, Rahman beat me at home but I beat him in Porto Novo two years later, so it is not easy to remain at the top," the fifth finisher at the London Olympics who captained Kenya at the Moscow World Championships said. Alongside flying his national flag at major events since he clinched the 2011 All Africa Games crown, Yego has made in roads in the IAAF Diamond League where he came fifth at the Brussels final last season. Yego has broken the national record on no less than ten occasions and this year, he remained coy whether he would get into the 90m territory considered to be the threshold of Javelin excellence. "I'm trying to get there in time but for now, I cannot say whether I will improve my personal best since I've not trained well. I will wait to see how my body responds to my program to know where I stand."